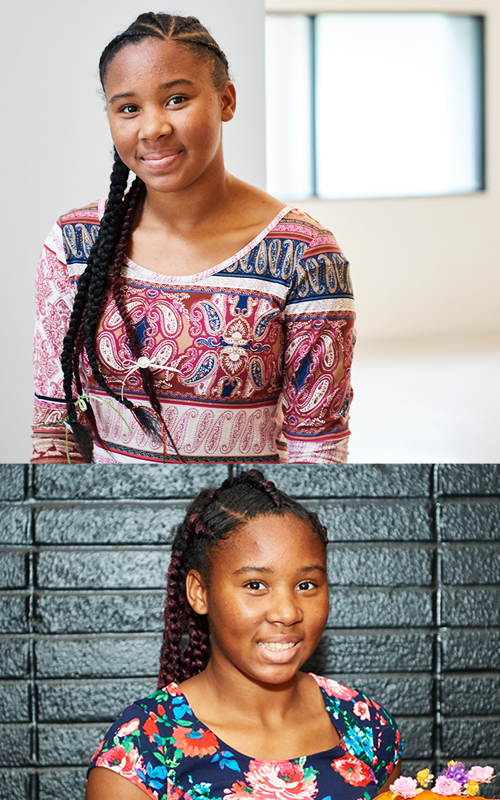 Michele, age 15, currently has a Weekend Miracles host family but is still looking for an adoptive family. Michele is a personable girl with a genuine spirit to help others. Born in 2002, Michele is described as initially quiet and reserved when meeting new people, but once she gets to know you she will talk endlessly. She is very in tuned with her spirituality and enjoys attending church services. In fact, she looks forward to attending weekly! Academically, Michele performs at grade level with supportive services in place. Michele can become emotional when things do not go her way but with a supportive and nurturing environment she is learning to manage her feelings more appropriately. She is also learning to use appropriate language when expressing herself. Like most kids her age, Michele loves her electronic devices. She also enjoys participating in Color Guard, experimenting with makeup, and discovering new things to do in her community. Help Michele find a family, share her Advocacy Flyer.